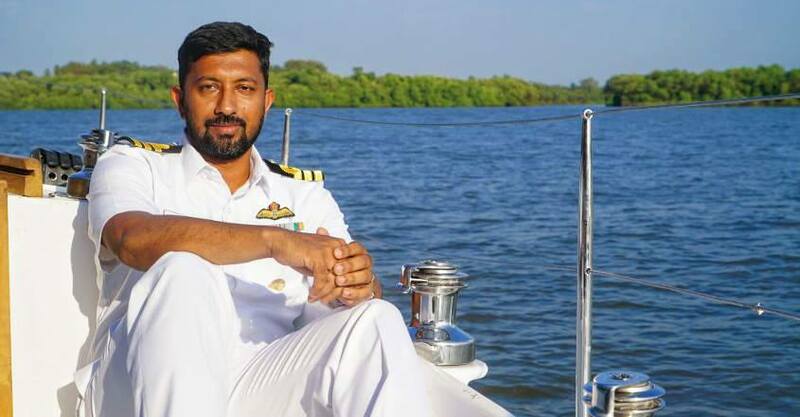 Indian Navy sailor Abhilash Tomy was rescued from the Indian Ocean near Australia in a multi-nation operation Monday, three days after he suffered a grievous back injury when a powerful storm hit his boat while he was on a solo race around the world, Navy officials said. Defence Minister Nirmala Sitharaman said the commander is “conscious and doing okay” after his ordeal. Tomy, 39, who was sailing his boat as part of the Golden Globe Race (GGR) – a solo sailboat race around the world — drifted in the seas for three days before he was rescued by French fishing vessel Osiris, officials said. His boat was hit by a deadly storm, about 1,900 nautical miles from Perth, Australia, on Friday. The main mast of his boat Thoriya was ripped off by around 15-metre high waves, they said. The rescue operation was assisted by Indian Navy’s maritime surveillance aircraft P 8i, they said. The Australian Navy has sent one of its frigates as part of the operation and it is expected to reach Osiris soon. “Tomy will be shifted to the Australian frigate,” said Navy spokesperson Captain D K Sharma. Tomy, a Kirti Chakra awardee, had been battling for life on the dismasted sailboat with a severe back injury, officials said. Australian Rescue Coordination Centre at Canberra coordinated the rescue mission in cooperation with many agencies, including the Australian Defence Department and the Indian Navy. “A sense of relief to know that naval officer @abhilashtomy is rescued by the French fishing vessel. He’s conscious and doing okay. The vessel will shift him to a nearby island (I’lle Amsterdam) by evening. INS Satpura will take him to Mauritius for medical attention,” Sitharaman tweeted. Tomy was in the third position in the race and sailed over 10,500 nautical miles in the last 84 days, since July 1 when the competition began. On Sunday, he managed to get in touch with the organisers of the race in France through messages and requested for help as he could not move on his own.